Pawel Brodzinski is a seasoned manager working in software industry whom most us know because we read his blog about software project management at Software Project Management more then often. With more than 1693 readers subscribing to his post (wow! ), this is one site you should visit and bookmark. 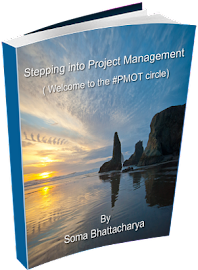 • How did you get into to project management? I went through a number of different roles in software projects and entering project management was a natural consequence for me. Having experience is software development and design, quality assurance, customer support and team management leading projects was just another step and not the last one as it appeared. I would say I try to focus on people (teams) and software respectively; project management is just a part of my story. A funny thing is I had ‘project manager’ printed on my business card for a few months only, even though I keep leading different projects all the time. But that’s exactly how I look at the subject – it is very broad. • Any incident you can share with us. I guess I could tell tons of success stories and at least as many failure stories. I could mention a few projects which taught me the most. But the thing which completely changed the way I look at project management and software development was me changing a job for the first time. I had a very good track record at my first job where I got invaluable experience and I decided to move on. I joined the company where my goal was to clean up technical department (software development, quality assurance and project management) with a head full of recipes ready to apply. After all I knew it how it should work from my previous job. None of these recipes were right. The company I joined was completely different. It was smaller: we were counted in tens, not in thousands. There were few big customers instead of thousands small and medium ones. And it was other industry than before. We worked on custom projects mainly, not on from-the-shelf products. Company’s financial situation was significantly worse. Top management had different priorities. Virtually every single thing was different. Why recipes should be the same then? The thing I learned is there’s no silver bullet, especially when it comes to such a broad subject as project management. Every situation is different and the best solution will vary depending on your specific situation. It is impossible to find a cure until you exactly know what disease you fight with. 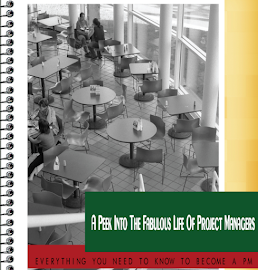 • Beyond the urge to learn what do you think is crucial quality to become a project manager? Being a good organizer, especially in terms of self-organization. Good communication and interpersonal skills. High determination to make things done. That’s shortened version of the list of qualities a good project manager should possess I wrote some time ago. Don’t treat it as the only way to become a project manager. Actually a lot of people choosing this role don’t suit it very much and that’s fine. Depending on a workplace a different character would work better. • Tell us something about your blog, why did you start blogging? 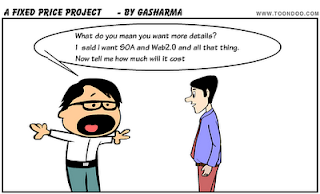 Starting Software Project Management was a bit of an experiment for me. I generally like to write and I believed I have some valuable insight to share but at the same time I wasn't sure whether anyone would follow or how long I’d enjoy running the blog. I guess I can call it a success since the blog will soon be 4 year old, I earned decent readership and still have a lot of fun with it. Subjects I write about aren't limited to project management since, as I've mentioned before, project management is only a part of what I do. I’m always open for a good discussion and I wish there were more comments on Software Project Management. I guess I should become more controversial but unfortunately that’s not my style. • You talk about helping people often– how do you plan to do it? Well, I write a blog, isn't that enough? OK, just kidding. I try to be active on a couple of forums, AskAboutProjects being my favorite recently. 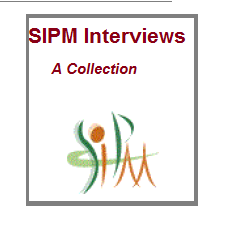 By the way I recommend it for everyone trying to find answer for project management related question. I always help people who contact me via email, Twitter or blog which sometimes results in pretty interesting discussions. I speak on relevant events from time to time, Agile Central Europe being the nearest one. I have a couple other ideas focused mainly on region where I live but at the moment they are still under development. I believe help starts with small things. If you write a post which is liked or triggers hot discussion it helps. If you answer a question on forum which solves someone’s problem it helps too. If it is followed up with email discussion you help even more. If you answer some questions from students of local university it helps. If you draw audience attention with your presentation during an event it sure helps. Even if none of these things cost you much, and good presentation cost heck lot of work, they stack up. That’s how I look at it. I am a naive person. I wish people were more honest in business and much more often than not my straightforward approach ends up with worse deals than I could have got. It is also easy to impress me when I meet new people. I could tell a lot of stories about people who I thought were great when we met for the first time but later I completely changed my opinion about them and usually regretted I hadn't been more careful in the first place. I guess I just gave you a recipe to milk me in business. Thank you Pawel for taking the time to do this.